So What's the Fuss About Cloud Computing Anyways? SkyPlanner Partners is sure you've heard of cloud computing, what is it exactly and why is everyone talking about it? Simply put, it's computer hardware and software delivered as a service over a network, i.e., the internet. It entrusts remote services with a user's data, software and computation. Cloud computing allows companies to get their applications up and running faster, with less maintenance and more manageability. Cloud computing in other words is software as a service, an on-demand software of a kind that typically priced on a pay-per-use basis or subscription fee. Your Miami Salesforce consulting company can attest to cloud computing reducing IT costs for companies. Users can access systems using a web browser wherever they are or whatever device they are using including mobile phones. Cloud computing offers more reliability when multiple sites are used so disaster recovery is simple. What SkyPlanner Partners' clients really like about cloud computing is that the apps are much easier to maintain, because there's no installation on multiple computers. It all lives in the cloud and can be accessed from anywhere. Another great characteristic of data living in the cloud is that it's measured. You can control and optimize resources. Those can be monitored, reported and used as research for better processes and business overall. Your Miami Salesforceconsulting company uses Salesforce for its cloud computing work. It allows our developers and programmers to customize applications for our clients' businesses running their operations faster and simpler. Businesses can automate and improve their daily operations making it easier when it comes to customer relationship management. Thanks to cloud computing, your Miami Salesforce consulting partners are able to help organizations improve their sales, build stronger customer relationships, gain social media exposure and so much more. Whether you're a rapidly-growing company or a multi-national corporation, cloud computing can really help you take your business to the next level. 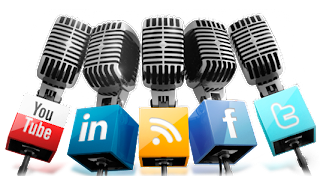 Your Miami Salesforce consulting company knows social media is not a trend, it's definitely here to stay. National corporations, nonprofit organizations, small businesses and even sole proprietors are using social media channels to communicate with their customers, evangelists and even critics. Listening to your customers and business partners such as vendors by way of Twitter, Facebook, LinkedIn, Pinterest and Youtube is a great way to stay connected. Salesforce's Marketing Cloud is big on social media success. The Marketing Cloud allows you to tap into real-time conversations from over 400 million social sources which means you'll practically know everything that's being said about your company, both positive and negative. 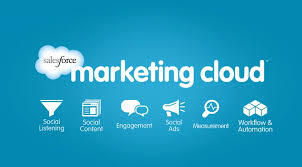 The Salesforce Marketing Cloud allows organizations to use social media to gain more insights so they make better decisions regarding their marketing, sales processes and even identify true ambassadors of their brand. Salesforce's Data.com brought together their social media experts to form a list of top tips for marketing via social media. SkyPlanner Partners learned that creating compelling content is a big part of making it in the social media world. Your Miami Salesforce consulting company learned that the content should establish your company as knowledgeable and provide solutions for your customers. The more you communicate, the more you'll know about your customers and the more you'll be able to gage what type of content best matches your clientele. Think ebooks, webinars, videos, tutorials, informative articles and cover topics that are related to your industry. The SkyPlanner Partners remind you to take some of that content fun. Getting information from your customer base is important in the social media world. Don't ask for too much, maybe an email or a name and a title so you can gage the demographic of your most active clients. The less you ask, the more leads you'll get. This will also help you to segment and target everyone in the right way. You'll be sending the right message to the right people. Salesforce's Data.com experts say that measuring your success in the social media world is crucial. You can learn and adjust your marketing behavior as you go. Salesforce makes it easy to measure success and failures. The SkyPlanner Partners can help you customize your Salesforce dashboards so you can verify your campaign performances, he impact they have had, what kind of info were you able to retrieve and from where or who. Check out Salesforce's infographic for a quick look at the seven tools and tips to market in the social world. 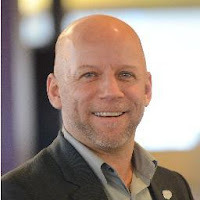 Daryl Spreiter, Senior Manager of Productivity and Learning at Salesforce, recently revealed the five principles that guided his career and has made him so successful. He has coached and mentored new hires and peers, working with startups and major companies such as Bank of America. These days, he's at Salesforce and calls it his "dream job." Your MiamiSalesforce consulting company found out his principles also encourage personal growth, not just professional success. His first tip surrounds networking. According to Daryl, social networks can really be powerful tools to make connections. He advises to network early in your career and often. The SkyPlanner Partners knows how important it is to develop and nurture business relationships within and outside of your own enterprise. It's virtually the lifeline of any business. Daryl says to identify and meet at least five new people within your company, outside of your department or role.This will allow you to network fast and keep adding new people to your circles. The more connections, the more opportunity to help and get help. Becoming a storyteller is his second key to success. Salesforce's Daryl Spreiter learned as a child that stories connect families and friends. In business, storytelling works the same way. The old saying in sales dictates that people buy from people, not companies. Stories allow customers to visual a solution, especially when a salesman can attach meaning to a current situation and the lessons he or she has learned from the past. Daryl suggests you write a brief personal story that can help you position the value of your service or product. Your Miami Salesforce consulting company learned the third principle to success is pretty simple: love your company's product. Daryl loves the Salesforce app. He experienced how it could solve problems and challenges and understood what it could do for customers. Number four on the principles to success is building your brand. Just like SkyPlanner Partners is doing right now. We're about to launch a brand, new website that truly explains our Salesforce capabilities and positions us as Miami Salesforce consultant. On our site, our customers will see the founders as well as the team of developers, business analysts and architects. SkyPlanner Partners also regularly blogs and has joined various media channels to engage and gain insight from our customers. Finally, the last point Daryl makes refers to taking charge of your career. He reminds us that it's important to share the successes and the differences you're making in the company with your clients. Share career aspirations and try to personally meet with managers of your organization. Make your career goals well-known. What are some of your personal keys to successes? It's no surprise that mobile is picking up steam, what with the newest models of smartphones boasting extensive lists of features and apps all competing for our attention. However, your Miami Salesforce consulting company learned that one of the top trends for mobile technology surrounds the customers service industry. 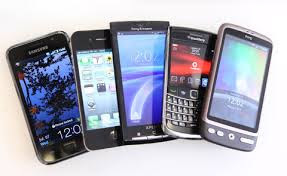 Until now, mobile was popular among sales, marketing and e-commerce. But now, mobile is becoming a crucial part of customer service departments' strategies. SkyPlanner Partners found out it's also important within the overall end-to-end customer experience. Salesforce's Service Cloud has been developing products to help support this shift into the new mobile era, with customer service-centric products. "Co-browsing" is a service that's in the works to allow agents to guide their customers on mobile devices via any web browser. So a customer who for example is looking at a credit card statement on his phone, doesn't have to exit the app in order to report a mistake or problem. He or she can initiate a co-browse with an agent and review this issue right then. Your Miami Salesforce consulting company learned the Salesforce's Service Cloud team is also working on "Communities" that will provide a single destination to find answers through self-service, peers or community experts. This will encourage customer advocates and sharing. "Chat" will become even more popular in the mobile era, with instant live chats anywhere, anytime. By 2014, the SkyPlanner Partners learned, there will be about 1.8 billion mobile devices in the hands of consumers. Mobile technology will definitely become the quick go-to for customer resolutions.